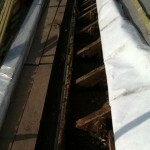 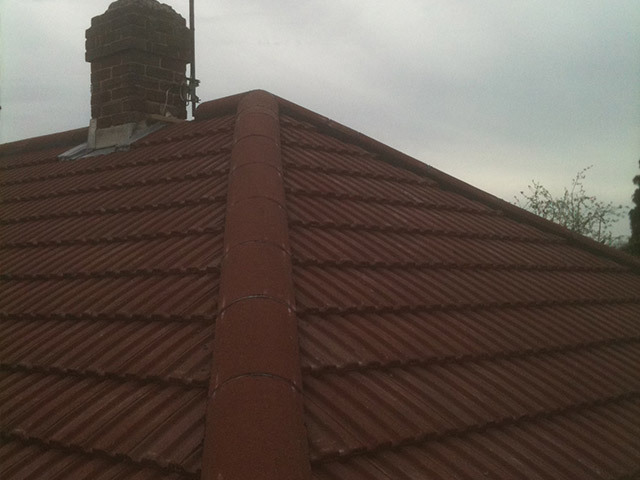 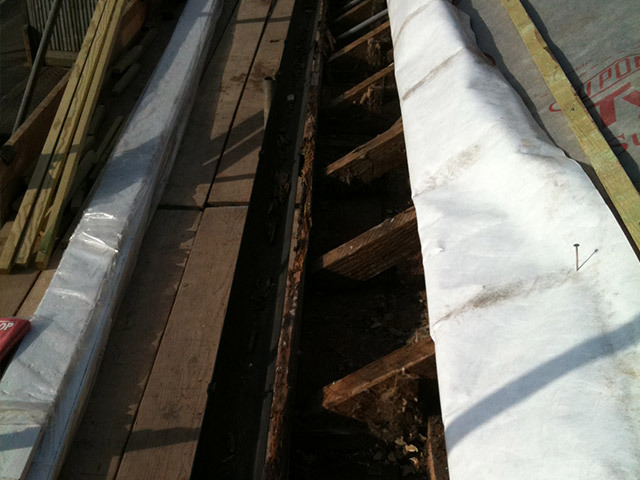 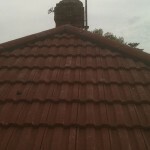 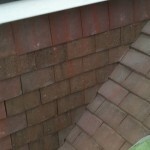 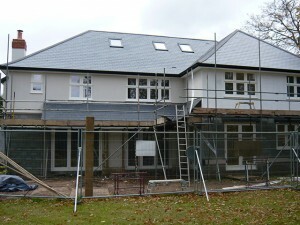 This contract was a house that had a complete restructure. 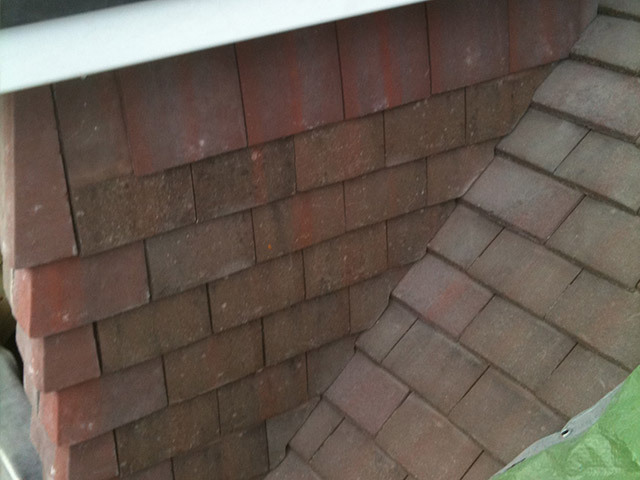 It was extended and a double garage added, the original house had a parapet wall running completely around the outside and a Redland concrete 49 on the roof. 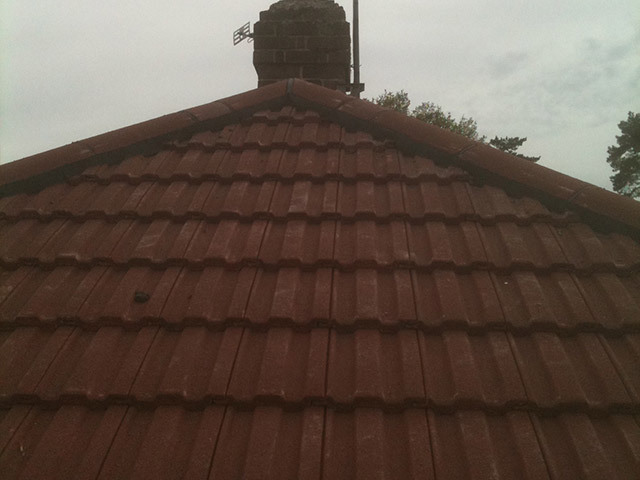 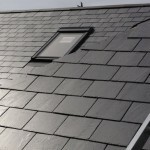 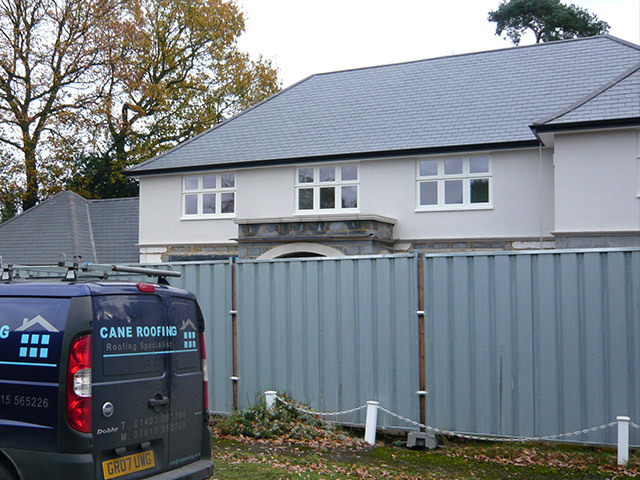 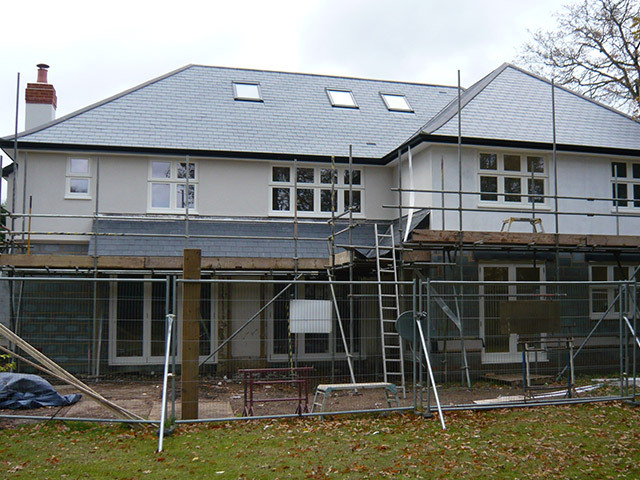 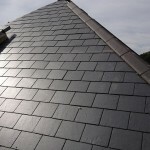 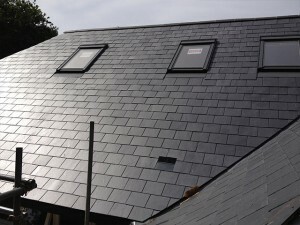 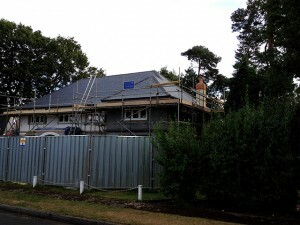 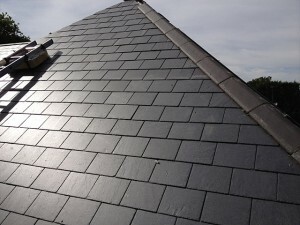 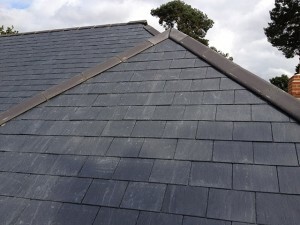 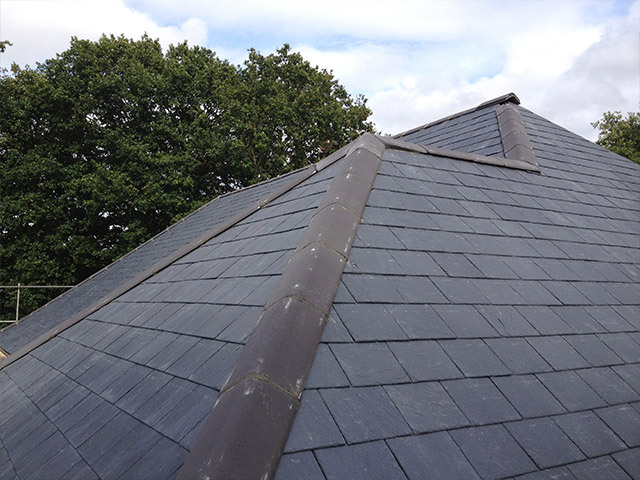 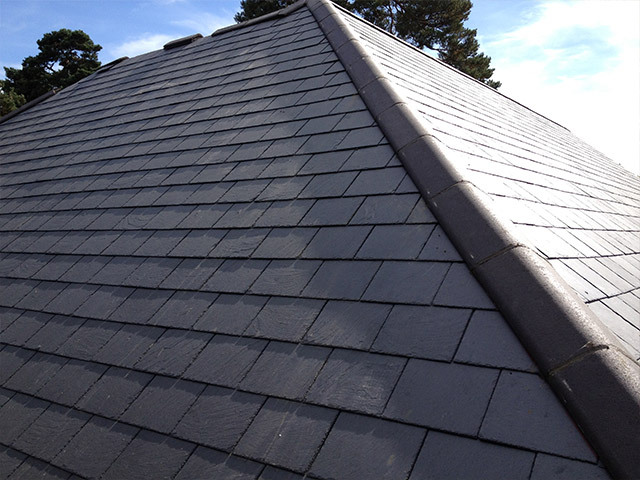 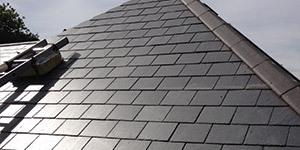 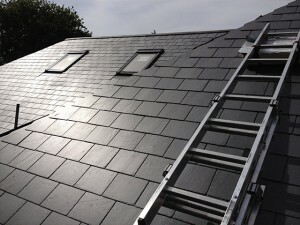 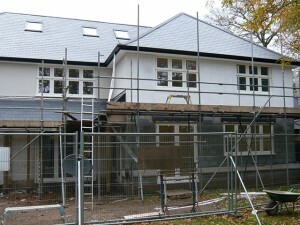 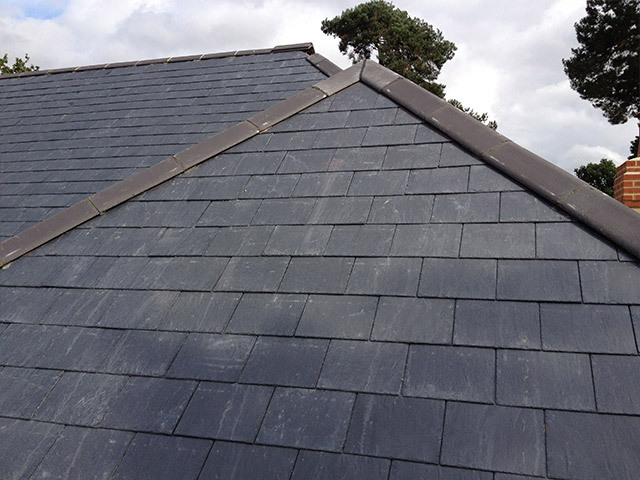 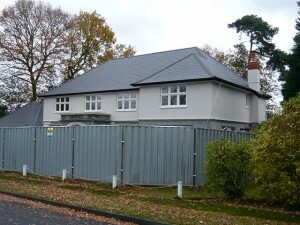 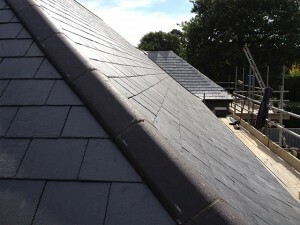 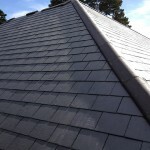 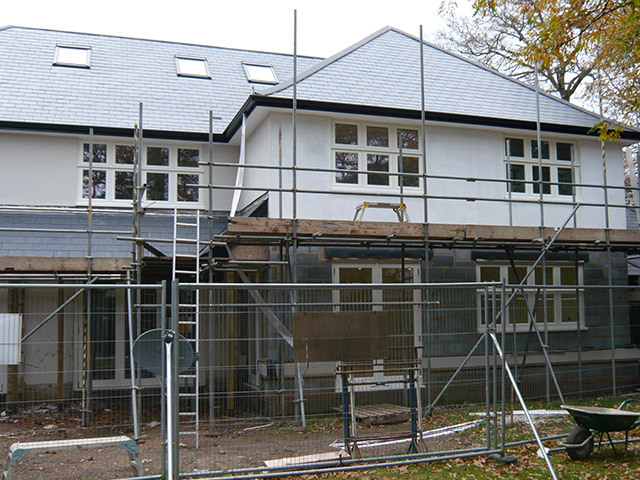 This contract was completed using natural slate, and we installed velux windows to the rear. 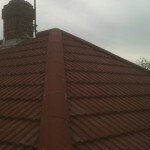 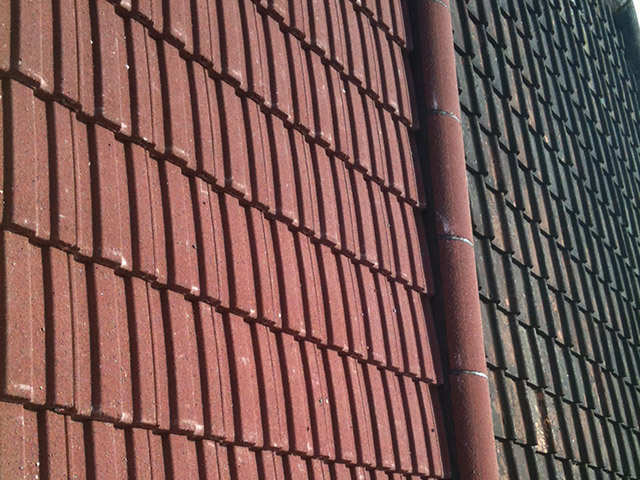 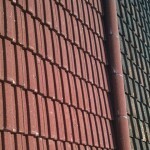 This contract carries a 30 year guarantee.